We're begining the count down in the Club, with lots of activity ... building extra barrier supports, mapping out the hall, and starting to give you a preview of the layouts, traders, societies and demonstrators. Two of our regular traders are Book Law and Coastal DCC. Book Law keep a huge range of trailway and other transport books ... but they can only bring a limited selection with them. So if you have something specific you want to buy, it's always best to give them a call to pre-order it, for collection at the exhibition - this saves you postage! Coastal DCC stock equipment by Lenz, TCS, Digitrax, Zimo and ESU/Loksound. Their experience with DCC comes from using it on their own layouts, so they have a real practical insight into using DCC systems. 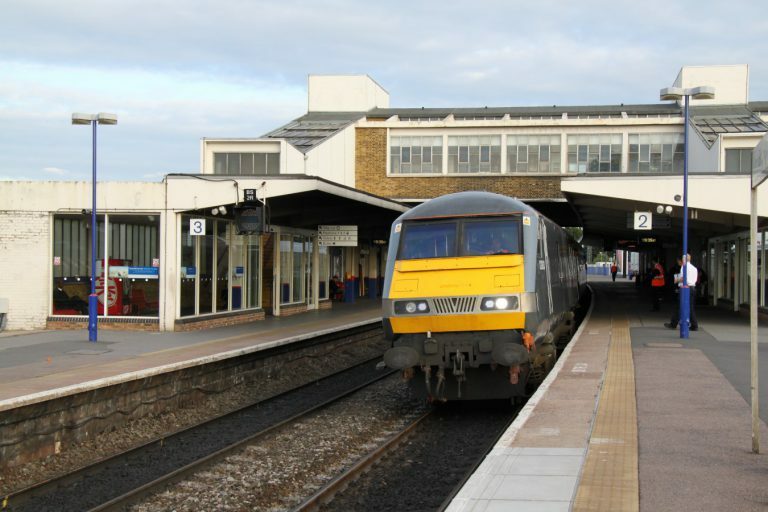 Banbury station lies on a busy cross country route between Birmingham and Didcot, where it joins the Great Western Mainline. The Chiltern Railways mainline towards London Marylebone diverges a few miles South at Aynho Junction. Ferring is the terminus of a fictional branch off the Brighton to Portsmouth line near Goring, Sussex, set in 1911. This makes the layout very nearly a 'local' line. We try to portray typical L.B.S.C.R. practise of the time and to capture a ‘Brighton’ atmosphere; most of the buildings are based on real ones. Demonstrators include Jerry Clifford who will once again, be showing some of his exquisite 2mm Finescale models. 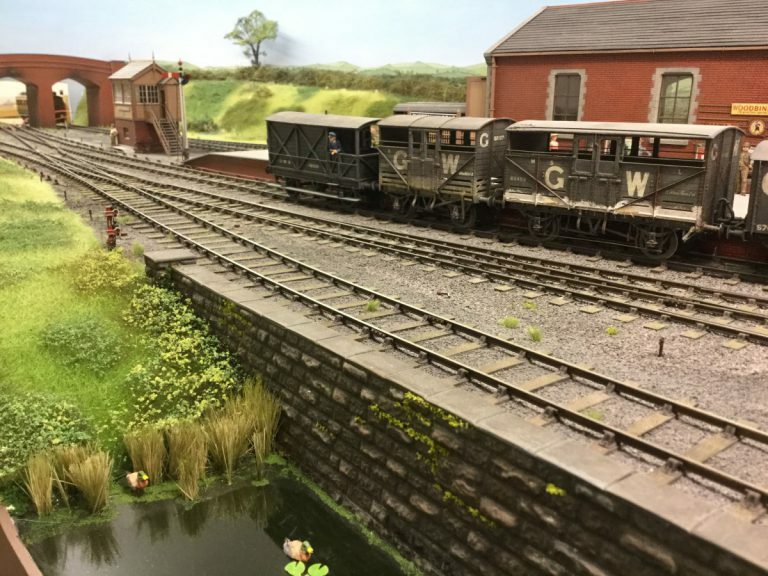 The EM Gauge Society is a UK based international society created to promote and cater for railway modellers working to a scale of 4mm/ft with a track gauge of 18.2mm - come and ask us any questions you have about this finescale gauge society, and what we have to offer modellers. Full details for getting to the exhibition by public and private transport are on the Club website. The Show Guide is free, and contain information about layouts and traders, and there are some special offers from some of the traders. The parking directly in front of the school is quite limited, and there are always school sports activities as well as our Exhibition. We will have a few bays marked out for Blue Card holders, but we rely on non-card holders not to use them. There is also parking on the tarmaced tennis courts at the end of the school drive - access from there is more or less level, but a bit further to travel. We also have permission to direct visitors to the Ocean Park retail park across the road from the school. Ocean Park only has stepped access to Dundas Road, but levelish access via the retail park's entrance on the roundabout, and then round by the footpath. There is a Pelican crossing to cross Dundas Road. Once inside the school, everything is on the level. We were busy in the Club room last night building some more supports for our barriers - we'd run out last year. Had a chat with the compiler of the Show Guide ... he has most of the information he needs, and will be creating the frist draft in the next few days. Today, I'll mention a regular trader at the exhibition, The Model Shop (Portsmouth), and a new trader for this year, Tim Horn (baseboards). The Model Shop have moved premises since last year, and a major benefit to shoppers is that there is a free car park just behind the shop.For those of you who know Portsmouth, this is a great asset! As well as bringing a selection of items to the show, their advertisement in this year's Show Guide inclused a 15% off voucher for purchases at their shop. You can also place orders with them for collection at the show ... but please get those orders in early to avoid dissappointment. Tim Horn is well know as the maker of top quality baseboards, among other things. His range of boards goes beyound the usual flat retangular offerings of other suppliers, so if you need new baseboards, his stand will be well worth the visit. 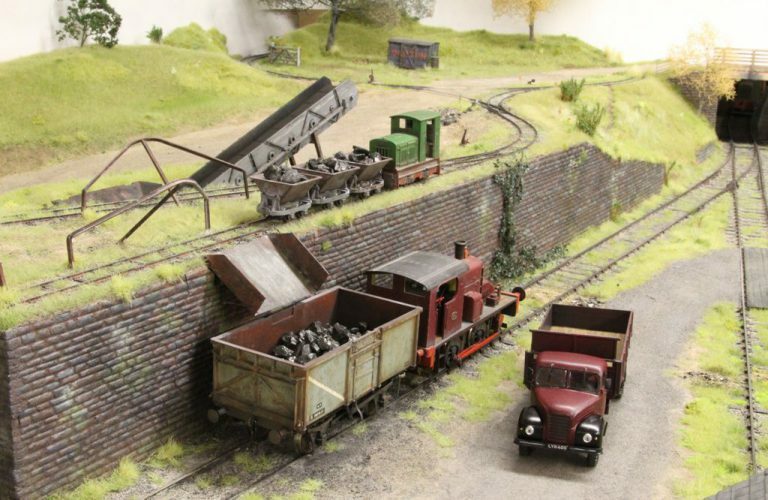 In addition to the excellent 0 gauge modelling, the line includes a 2ft narrow gauge line bringing the coal from the pit to the distribution centre ... with working tippers! While some of the coal is taken away by rail, there are also some radio controlled lorries handling local distribution. We expect End of the Line to be very popular on the day. Hope is currently our Club's largest operational layout (that crown will be taken by Eastwood when that arrives in 2019). Hope is a traditional 'roundy-roundy' layout, with lots of trains to watch, and the occasional shunting operation in the goods yard. Virtually all the stock has been built or converted from kits, many of which are no longer available. It is a Club favourite because operating it is so enjoyable. Will you spot the Layout Manager taking the permanent way train up the branch (again) when it should be on the main line? Roger Sawyer is a regular demonstration at our Exhibition, and he'll be here again showing how straightforward soldering is. Come along and be prepared to have a go. The Scalefour Society will be represented this year by members of the Southwark Bridge Group. The Society is more that just an advocate for the 18.83mm track gauge - members have access to resources useful for every 4mm modeller. Come along and have a chat. 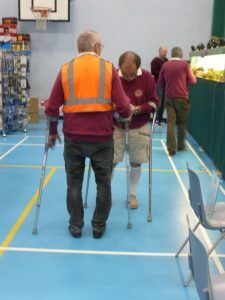 This year's Exhibition will probably be known in the Club as "The Year of the Knees". The Committee has, between them, only 50% of the fit and funtioning knees they should have. I think it might be a ploy to avoid the heavy lifting! Don't forget - if you're coming to the Exhibition on the 17th, and you want to pre-order something from any of our traders, you need nto get that order in quickly to avoid being disappointed. In the preview today we welcome a new trader, Frome Model Centre, and a long-time supporter of the Show, London Road Models. 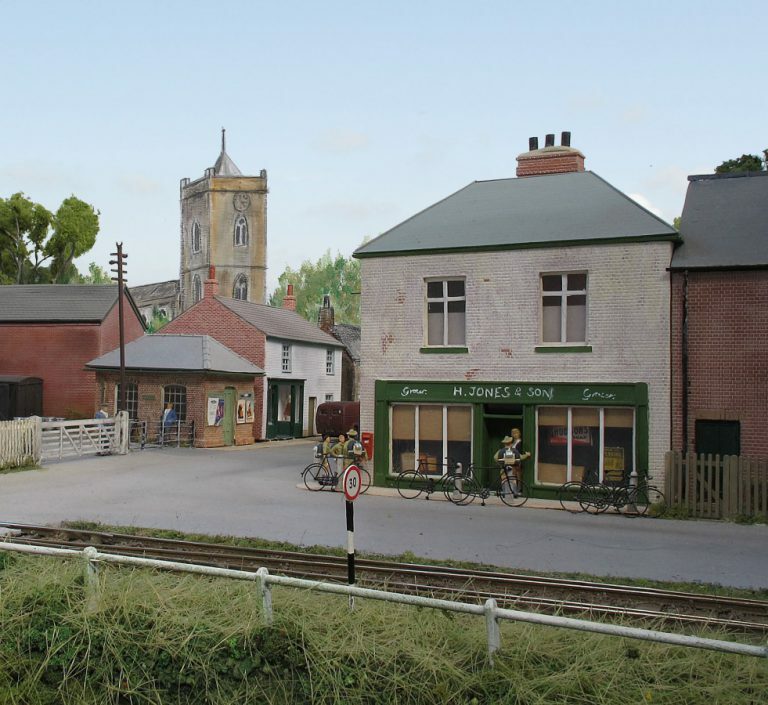 Frome Model Centre are one of the largest and independent family-run model shops in the country. They can't possible bring everything to the Show, so please ask them if there's something particular you'd like them to bring. 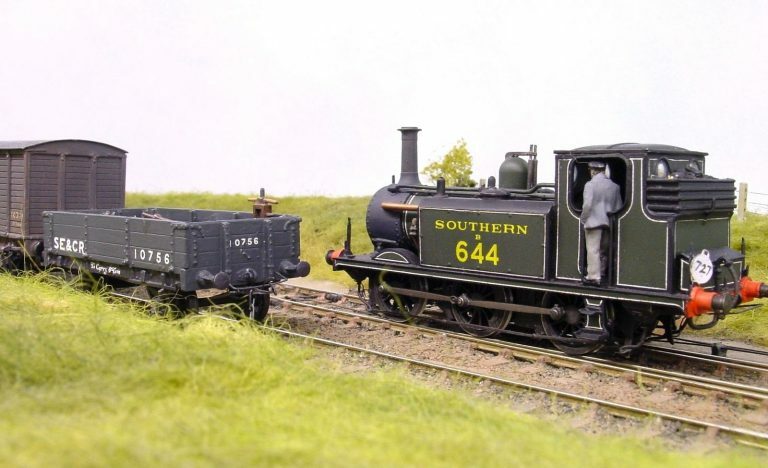 London Road Models has a large range of 4mm etched loco kits, most with their origin in the pre-Group era - many are not available anywhere else. Of course, many of these loco survived through the Grouping period into BR ownership. They also have many other kits including coaches and wagons. They are also the only UK supplier of Resistance Soldering Irons. Fulton Terminal was situated on the East River and operated by the New York Dock Railway. It was one of a large number of similar rail terminals, around the Upper New York Bay and Hudson River area, all connected by the river. The model is set in the mid-1950s. Not far from the bottom edges of the Sussex Weald lies the Dicker Tramway, a small independent light railway connecting the brick kilns of Dicker with the market town of Owlsham. An intermediate station serving the market town of Horselunges along with its flour mill and a private industrial siding form the subject of the scene depicted. Demonstrators include Roy Hickman, a regular demonstrator of scenic modelling. Be prepared to have a go yourself - allow plenty of time for everyone in your party to make something to take home ... a favourite with the children. 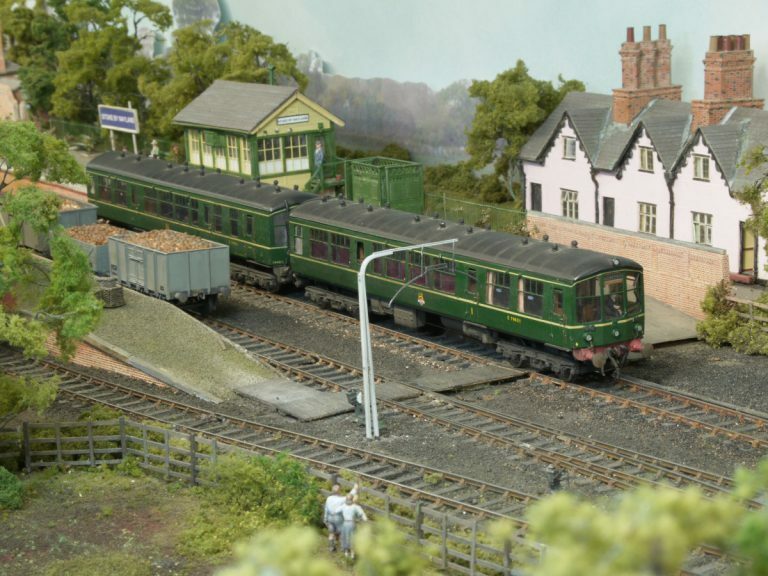 MERG is the Model Electronics Railway Group and is an international club for anyone interested in using electronics to control a model railway and reap the benefits of reduced wiring, more controllability and reduced costs of the electronics. They have a number of demonstration units, and can explain all about assembling the MERG boards. We're into the last two weeks before the exhibition ... and the Committee is getting the usual pre-match nerves - they think they've thought of everything! This is a good time to remind visitors that the excellent catering put on by 'Trig' in the school's kitchen, is only available between 12 noon and 1:30pm - each year there are people who have got so engrossed in the exhibition that they forget the early close of the catering. However, drinks and snacks are still available in the 'Bridge' (just along from the catering), and there are several food outlets in Ocean Park, including a new M&S Food Hall. There is a little 'Blue Badge' parking in front of the school - if you don't have a Blue Badge, please don't park in these spaces. Time is running out for pre-show orders, so get your order-for-collection in soon. Please also note that a number of the advertisers in this year's Show Guide will be offering discounts for limited periods after the Exhibition, but only on production of the Guide. 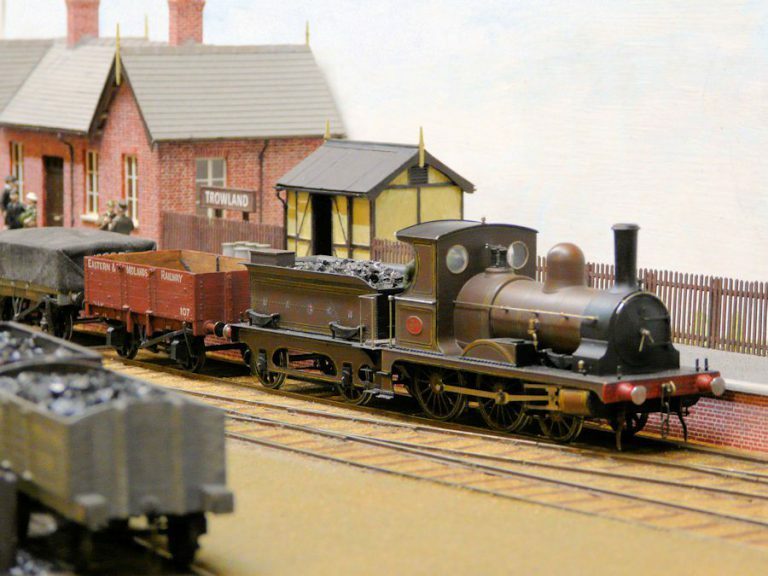 This year's traders (who haven't been mentioned before) include C&L, Falcon Masterpiece Models, MRD (Model Railway Developments), Penbits, Rumney Models, and Squires Tools. Advertising but not appearing at the Exhibition are The Electric Loft Ladder Co., KB Models (of Havant), and Wicor Models (of Portchester). The Wisbech and Upwell Tramway opened to traffic on the 20th August 1883 only as far as Outwell, and then on to Upwell on the 8th September 1884. Between the years of 1945 to 1950 the line saw the most activity, when it was not uncommon to see double headed trams with 60 fruit vans in tow. Steam trams were the mainstay of the motive power in the early years, with diesels taking over until 23rd May 1966 when the line closed to traffic. Welcome to the Leysdown, a model railway layout portraying, in 4mm to the foot scale, the terminus of the Sheppey Light Railway as it would have appeared in the early 1930s under Southern Railway ownership. The last of the 'gauge' societies that will be represented at the Exhibition is the 2mm Society. 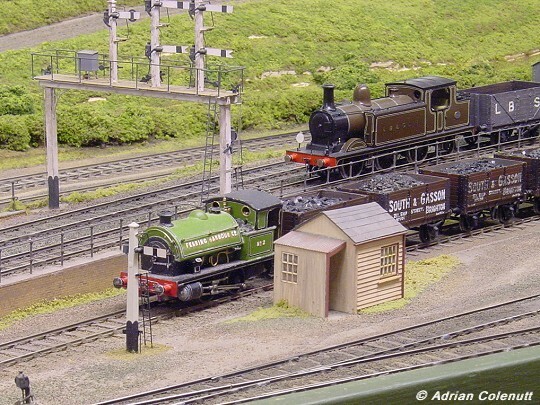 The 2mm Scale Association exists to promote and facilitate modelling at the scale of 2mm:1ft. The scale has a long history as the smallest practical finescale standard. Just three days to go, and we're nearly ready ... the Show Guide (one free to each party coming through the door) has gone to print, barriers and signs have been prepared, and the staffing schedule circulated. 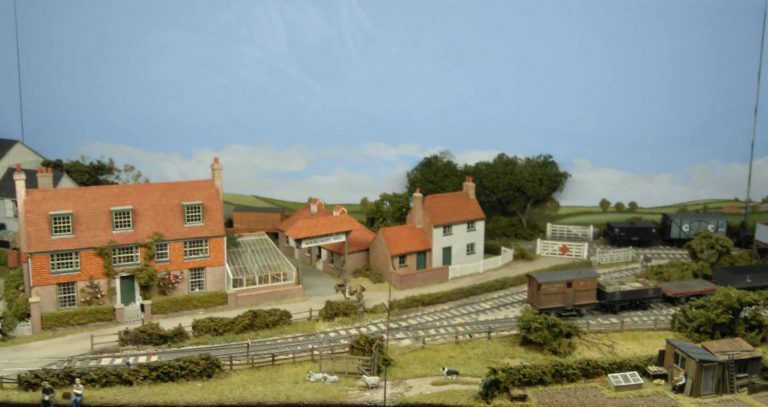 We are being supported by four traders this year who all carry a wide range of modelling items in their shops, including many non-railway lines. Two of these traders will be at the Exhibition ... The Model Shop (Portsmouth), and Frome Model Centre. Supporting us by advertising in the Show Guide are Wicor Models of Portchester, and KB Models of Havant. See details of all the appearing and supporting traders on the 2018 Exibition Traders page of our website. One more note ... The Model Shop (Portsmouth) and KB Models are offering discounts on production of the Show Guide. Sherton Abbas is a 7mm scale representation of a Great Western Railway branch line terminus and is set in the Edwardian era circa 1905. The name Sherton Abbas comes from Thomas Hardy’s novel “The Woodlanders” – quite what he would have made of the railway is anyone’s guess! In 1867 the Great Eastern Railway opened a 35 mile cross country route from Colchester to Stowmarket. The line was never as successful as anticipated and lived a quiet existence for 100 years until closure in 1967. It did however prove to be a useful avoiding line, taking pressure of the Colchester to Norwich mainline at busy times. Stoke by Nayland station itself was kept busy by the presence of a granary and a dairy. Trevor Nunn’s new layout ‘Trowland’ is the terminus of a Midland and Great Northern Joint Railway branch line in North Norfolk. The layout is set firmly in the 19th century. One for our younger visitors. Come and drive trains pulled by Thomas, Percy, Gordon and more of their friends. Details of all the layouts appearing this year can be found on the 2018 Exhibition Layouts page, with even more details including track plans, in the Show Guide. Thanks to all who came and made the Exhibition such a great day. According to our Chaiman (another Dave ... Dave Hawkins) traders and exhibitors were all pleased with the day. We had very nearly 800 paying visitors, our second highest attendance. There are always things we can improve on - these will be discussed at the next Committee meeting and Club Forum. I've added a news post to the Club Website, which includes some video and stills taken on the day ... please do pop over and have a look. We always get lots of children, which may seem unexpected at a 'finescale' show, but with Roy Hickman getting them involved in making scenery, and Roger Sawyer getting the children to have a go at soldering, we are very mindful that railway modelling isn't just a hobby for those of us who are getting on a bit. The children were also entertained by Chris Barker and his crew on the MERG stand, and the many Club Members who were supurvising on our 'Thomas' layout. 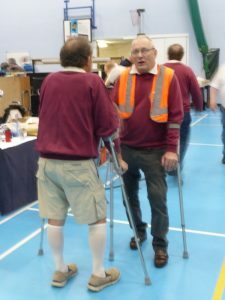 As I mentioned in a previous post, this was the 'Year of the Knees', and now I have photograpic evidence to prove it ... half the Committee on cruches following knee operations! Finally, thanks to everyone who visited these posts on the forum.